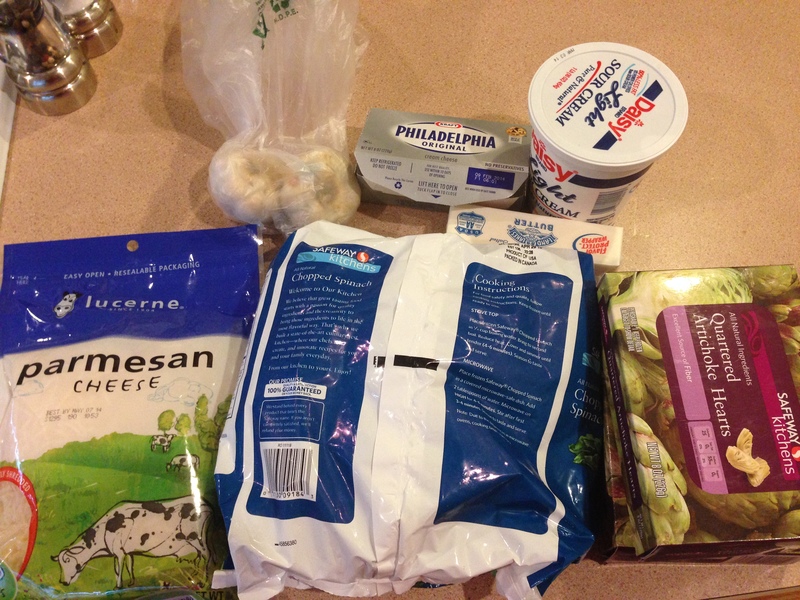 Superbowl Spinach and Artichoke Dip! I have been feeling under the weather all week long, which is why its taken a week for me to post this. For Superbowl Sunday I went to a Superbowl party, and wanted to make something delicious and easy to take with me. 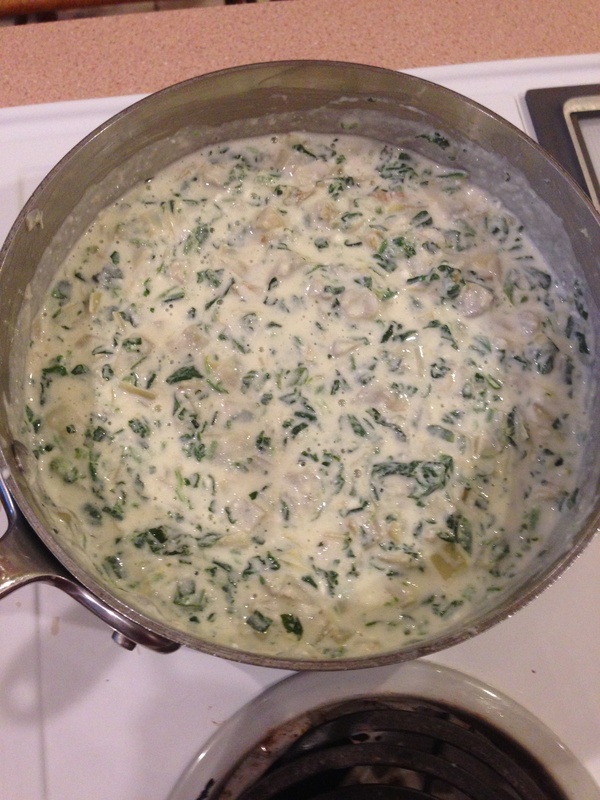 So I looked under my appetizer board on Pinterest, and saw this awesome looking spinach and artichoke dip recipe from Natasha’s Kitchen that I knew I just had to make. Her recipe called for jalapenos, but I decided against using them. 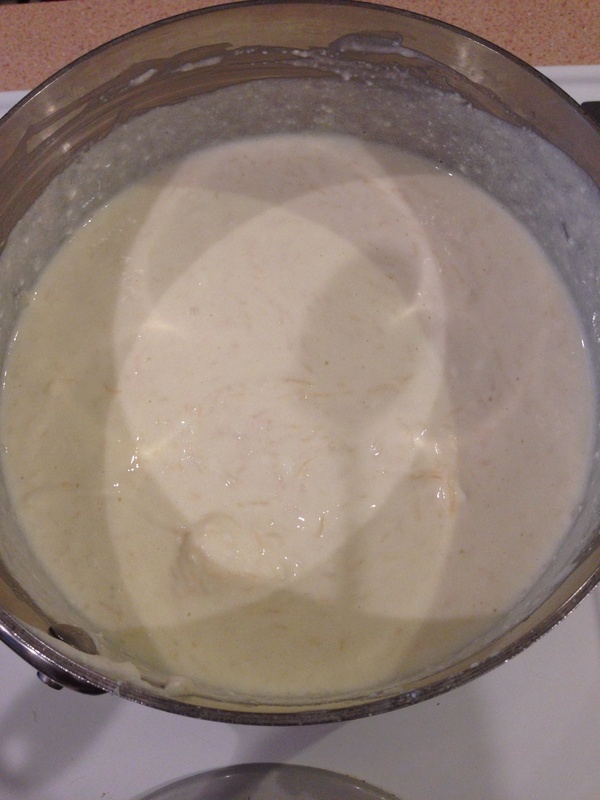 I started the process by melting together the cream cheese, sour cream, butter, and parmesan cheese. I kept stirring till everything was melted together, and making sure to get all the lumps out. Next I stirred in the chopped artichokes, spinach, and the garlic. I stirred till I made sure everything was mixed together, and did a taste test. The dip tasted too much like sour cream, and I felt that the sour cream taste over powered any of the other flavors. So I decided to add a pinch of sugar, a pinch of salt and pepper, and finally some garlic powder. This really improved the taste and made the strong sour cream flavor disappear. 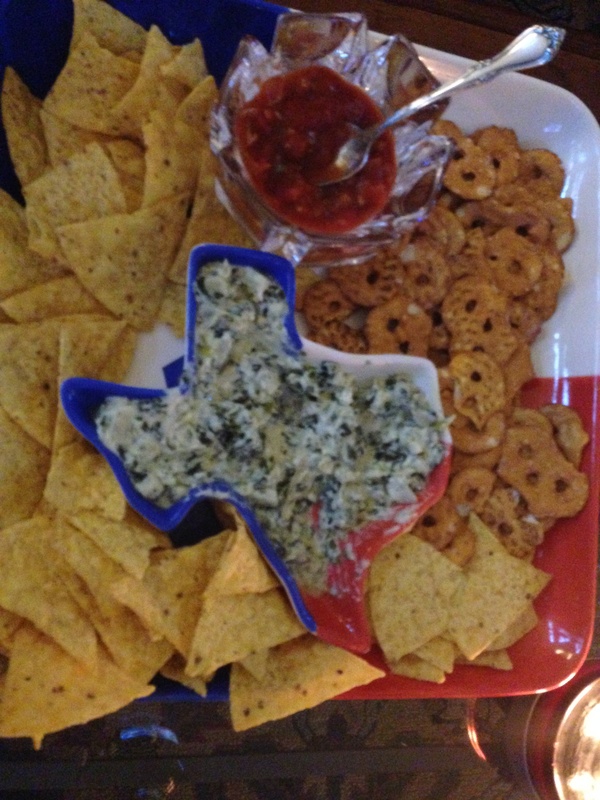 I served the dip with tortilla chips and pretzel chips, and had salsa on hand incase anyone wanted to mix the dip with salsa (its a pretty good combination). It ended up being a big hit with the crowd, and everyone kept asking me for my recipe. In my opinion I would stick with the ingredients, but add less sour cream next time. Other than that, I would definitely make this dish again.